Help the ENY Impalas Travel To The Junior Olympics by Do Your Best, Inc.
By Do Your Best, Inc.
Do Your Best, Inc. hasn't added a story. The East New York Impalas are a track team in Brooklyn, NY. Every year, the team has athletes that qualify for the national Junior Olympics. However, they need assistance in order for the athletes to afford the trip to North Carolina. Please help out by making a donation to our organization. We are a not-for-profit organization. Do Your Best, Inc. hasn't posted any updates yet. 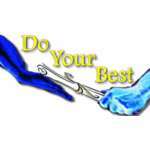 Do Your Best, Inc. is managing the funds for this campaign.